Join exhibiting designers Julie Bartholomew, Guy Keulemans, Yusuke Takemura and Bic Tieu in discussing the influence of Japanese materiality in their contemporary practices. In dialogue with exhibition Shifts in Japanese Materiality, this panel talk will share the experiences and processes of object designers, spanning ceramics, glass, lacquerware, and jewellery. Japanese materiality is often considered untouched and bound to tradition, but contemporary object design practice expands the long history of porous global influences and highlights the fluid nature of Japanese materiality. Bic Tieu is a Sydney-based designer and maker of jewellery, wearables and small objects. 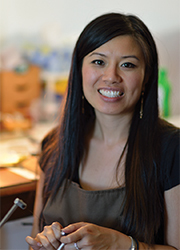 Inspired by Asian aesthetics and sensibilities, she places traditional Japanese lacquer (maki-e) techniques within a western conception of jewellery design. An Associate Lecturer at UNSW Art & Design, Bic is a PhD candidate at ANU, Canberra, and holds a Masters of Design from UNSW. Bic undertook a two-year residency at the world-famous Kitamura Koubou Studios in Wajima, immersing in the rich tradition of Japanese lacquerware to hone her skills through traditional training. Bic exhibits her within Australia and Asia, and maintains a research practice. 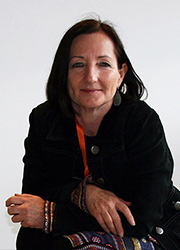 Her work has been awarded grants and residency programs including Asialink and the Australia Council for the Arts. Julie Bartholomew is an artist and educator in ceramics, currently Head Ceramics Workshop, School of Art and Design, Australian National University. Her practice explores contemporary issues including consumer culture, particularly the relationship between female identity and global branding within the context of western and eastern cultures. She has participated in residencies and exhibitions in Australia and abroad including an international travelling exhibition titled Zhongjian: Midway, alongside well-known Chinese and Australian artists. Julie has been the recipient of numerous awards including four Australia Council for the Arts New Work Grants, the Tokyo Studio Residency, Australia-China Council Red Gate Residency in Beijing and the Asialink Taiwan Residency for 2009. After receiving an Australian Post-Graduate Award, Julie completed her Doctorate at the College of Fine Arts, UNSW in 2006. In the same year she was the winner of the International Gold Coast Ceramics Award. Julie’s work has been collected internationally by significant art galleries including the National Gallery of Australia and the Yingge Ceramics Museum in Taiwan. Yusuke Takemura was born in Japan and currently lives and works in Australia. 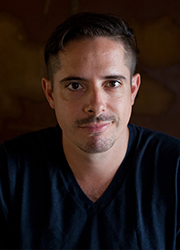 His innovative methods are a daring fusion of traditional technique with contemporary knowledge that he has developed to translate ideas concerning human experience, history and place. Yusuke’s intriguing, poetic forms are subtle investigations of making the invisible world visible that belie the technical virtuoso of the artist. In 2006, Yusuke completed his Bachelor degree in glass from Kurashiki University of Science and the Arts. Under the guidance and training of internationally renowned glass artist Toshio Iezumi, Yusuke developed a highly skilled technique of glass surface treatment and cutting. In 2009, Yusuke continued his studies in Australia, completing a Masters Degree from The University of Sydney. During this concentrated period of studio research Yusuke honed his highly specialised skill, of cutting precarious organic shapes through fragile glass forms, into a strong, highly individualistic visual language. 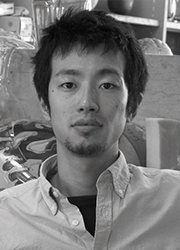 Yusuke has been awarded several major prizes, most recently in 2011 The AusGlass Vicky Torr Memorial Prize, The AusGlass Sabbia Gallery Solo Exhibition Prize and shortlisted for the prestigious Ranamok Glass Prize. Guy Keulemans is a multidisciplinary designer, artist and researcher working on product design, graphics, installation and sustainability theory. He produces critical objects informed by history, philosophy and experimental methodology. The major themes of his works are repair, generative processes, and the environmental concerns of production and consumption. Guy has a Masters in Humanitarian Design from the Design Academy Eindhoven and a PhD from the University of New South Wales’ Art & Design, where he also lectures. He has exhibited in museums and galleries in the Netherlands, Germany, Austria, Poland, including ARS Electronica, the Marres Centre for Contemporary Culture, COCA Torun and Platform 21, and in Australia, at Object, Craft ACT and Craft Victoria.